A big sized room with inbuilt wardrobe is available for rent in a 4 bedroom 3 bathroom duplex house. The bathroom with jacuzzi tub is to be shared with one another female. The house is newly built with all the modern amenities and furniture. It has living room, kitchen,garage and backyard on the ground floor and bedrooms on level 1. 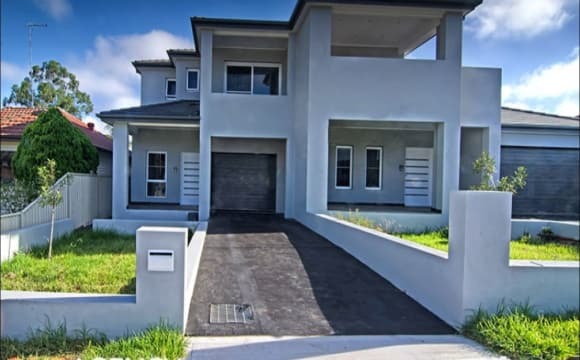 It is located in a convenient location very close to coles, a park, westmead hospital and bus stops. 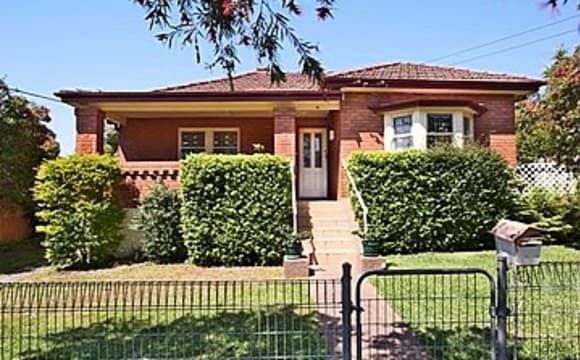 It is about 10 minute walk to wentworthville station. Please don't hesitate to contact me if there's any more information required. 2 weeks bond money will be required. Looking for a female only. Great View from Balcony and Air Conditioner included. Room is semi furnished with single bed and cupboard. 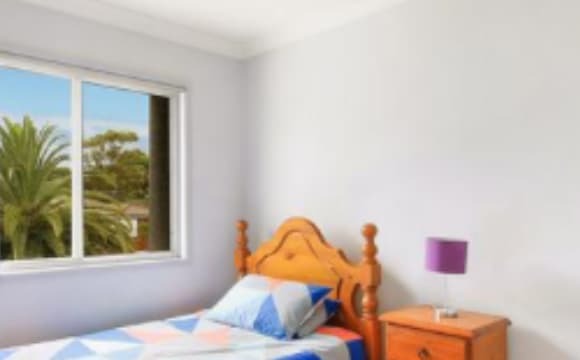 Apartment is located 10-12 mins walk to Wentworthville station, 2 mins to Woolworths, 2 mins to bus stop. 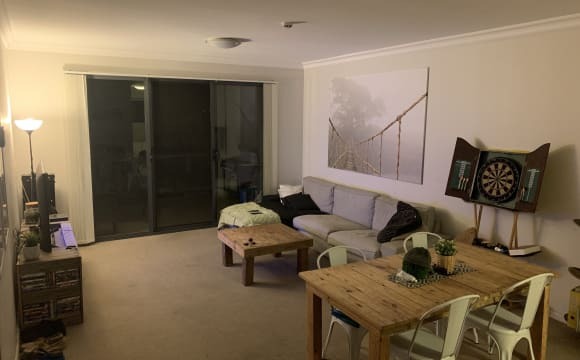 I've just recently moved into a two bedroom unit in Westmead and I'm looking for a housemate to take the second room (no couples sorry). 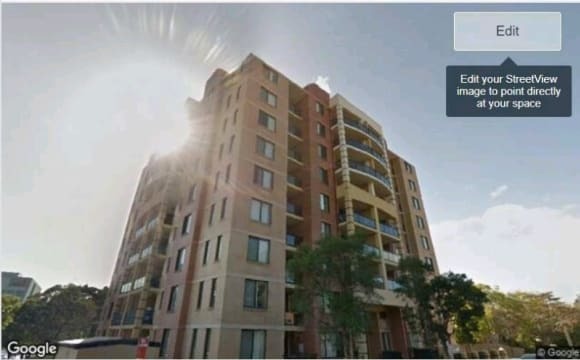 The place is in a great location, close to buses to Parramatta and to either Westmead (~15 mins) or Wentworthville (~10 mins) train station as well as Westmead Hospital. The unit is next to a few small parks. There is also a Coles (and great kebab place) close by so groceries are very convenient. You will have a room to yourself with a large built in wardrobe and access to your own courtyard! You will have your own (recently renovated) bathroom. If you have furniture, you're welcome to bring that as well or I can set up the single bed that I have. Otherwise you could fit up to a queen size bed in the room. I've furnished the place with most things but you are welcome to bring some furniture if you have things. I have super fast internet (FTTB - $60/m) which is split equally. All other bills (gas/electricity) are split equally. I haven't had my first bill yet so I'm not sure how much that would come out to. Netflix comes included! No parking is available on site but there is a lot of street parking. Rent is $250 per week and paid fortnightly in advance. Bond is two weeks of rent. I'm looking for someone clean and tidy who will hopefully stay long term. Looking for a friend (professional / students) to share the room who is open minded, friendly, and like to keep the premises clean . Non smoker and non drinker preferred(by this it means smoking , drinking outside the house), I have nothing against drinker and smoker, but it is required by landlord for house to remain clean. Ocassional social party are welcome on weekends but this is not a party house. Room has a swimming pool view . Room comes with all facilities included in the rent. a queen size bed, mattress, fridge, Samsung 65” curves 4K smart TV, Fridge, Washing Machine, and microwave. Just bring your own Pillow, Fan, and Quilt. 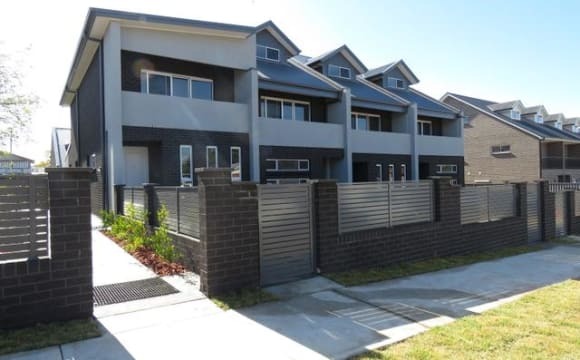 Location is Westmead, close to Parramatta CBD, and 10 mins walk to Westmead and Wentworthville Train station. bus stop is right oustide on Bridge Road. 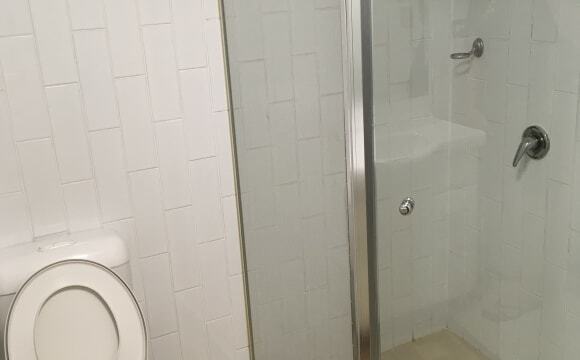 You will get your own personal room and personal bathroom as shown in pics. Room is well sized and fully furnished with a queen size bed and a built in wardrobe- you would have to share the bathroom with one other female - this room is $300 inclusive of all bills, internet and facilities. We also have a fur baby, Lila, she is a 6 months old schmoodle and loves cuddles. Would love a housemate that loves her equally and not suitable for other pets in the home. Looking for friendly and responsible flatemates and looking for the right fit when it comes to sharing our home! The apartment is bright and sunny and has been freshly painted with feature walls in every room. All of the furniture in the place is brand new. 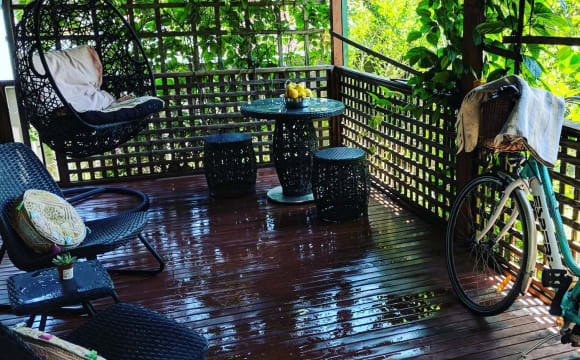 The apartment is in a modern complex that has full gym facilities, pool, spa, sauna and tennis courts as well as a lovely garden area with bbq facilities. We also have high-speed unlimited wifi internet. Price includes access to all facilities and bills. If you require parking, there is plenty of street parking. No parking spot available within the complex. It is a 10 minute walk to the train station and 5 minutes to Coles. Also close to the Hospital and University. There is also a bus stop in front of the apartments that goes to Westmead, Parramatta, and Wentworthville stations plus the T-way buses to Blacktown, the Hills and Liverpool area. Fully furnished, UNLIMITED internet included, private car space included, top notch location. I'll be the one staying in the other room of the apartment and genuinely really like this place (my current roommate can confirm it's a sweet place). The apartment is conveniently located next to Westmead Private Hospital and a few minutes walk away from Westmead Public Hospital, so if you work at either, well, let's just say you'll be sleeping in every morning. Living here myself, public transport is extremely convenient. There's a bus stop right in front of the apartment which comes every few minutes and only takes a couple of minutes to get to Westmead Station and 5-10 minutes to the Parramatta hub. You can also walk to Westmead Station in 10. It's a casual 35 minute train ride into the city so even if you work in the CBD you can get there in under an hour. There's a Coles around the corner so buying groceries is also a stroll away. If you have a car, a private car space in a secured carpark below the apartment is also included in this package deal. 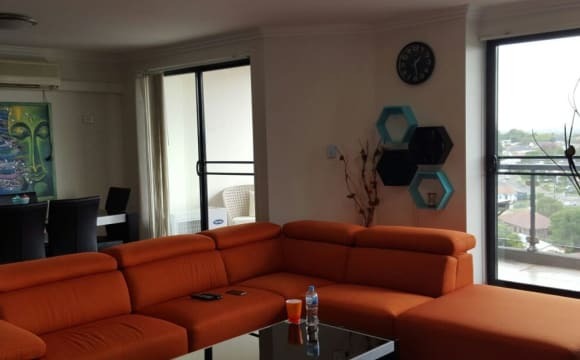 The apartment itself is fully furnished including fridge, AC, bed, mattress, oven, stove top, microwave, couch, tables, chairs, TV, etc. with UNLIMITED NBN INTERNET. The balcony space is quite large so you can use it to kick back and take in the view. Since the apartment is only a couple of years old, it's very clean and in tiptop condition. The maximum stay is negotiable. All you really need are your clothes, toiletries, an Opal card and yourself and you'll be set! Welcome Home. That's what my heart and mind says every time I step through the door. My place is a lovely home and I'm looking to share this homely environment with a like-minded, considerate respectful person. I love waking up to the sunshine doing exercise either on the back balcony or the front sunroom. I am in the process of creating a nice yoga, meditation / reading room for the front area. Each of us need some reflection time and stillness in this busy world. The loungeroom has a comfy L-shape sofa, not sure how to work the fireplace but it's there and there is a shared bathroom that has a toilet and shower fossil over the bathtub. The kitchen is 70's style limegreen and needs updating. But it does the job. I can prepare my food and cook there. I have a separate dining space and I'm still trying to figure out what to do with the antique piano (but will sort that out eventually). There is a driveway that leads to a carport and if you need a storage room, there is a barn style garage to store some stuff. One of the rooms has hardwood floors and is on the side of the house. It's smaller but more private. The back room is bigger but it's carpeted and the window opens up to the balcony so you may not get much privacy if people are out there. Nevertheless, it has a TV antenna and enough room to furnish your "me space". Another plus is that the location is walking distance to Pendle Hill train station and a bus stop. That comes in handy especially when travelling for work and especially coming home from performing or a night out. Couples will be considered for the bigger back room negotiated at an increased cost. If you have a pet like a cat or dog, I am open to negotiation to allow them to stay at an additional cost as the lease agreement can factor that in. I have worked out the price based on my own usage and includes the room, electricity, water, internet and yard assistance. If you like the place for 3 months and things are working out well, I would be happy for you to join the lease. You will have your own room, your own bathroom. The room is not furnished but the rest of the flat already is. Bus stop right outside the building on the street. 10 minute walk from the train station and 5 minute drive from parramatta cbd. Coles is around the corner. Ideal spot. Ducted air con. Netflix and Stan. Big balcony overlooking the courtyard. Fully furnished Built in wardrobe Unlimited internet included!! Ducted Airconditioning Sorry no couples Brand New luxury home!!! Price includes electricity, water, gas and internet. 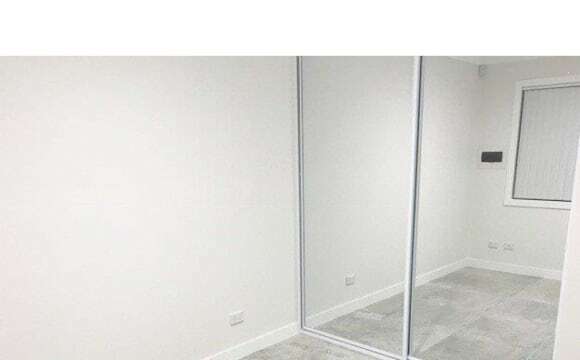 1room left. 10min walk to westmead station. Bus stop less than 1 minute walk. M4 around the corner. Freestanding spa bath, chef 90cm oven, all top end finishes. I am looking for respectful tennants. 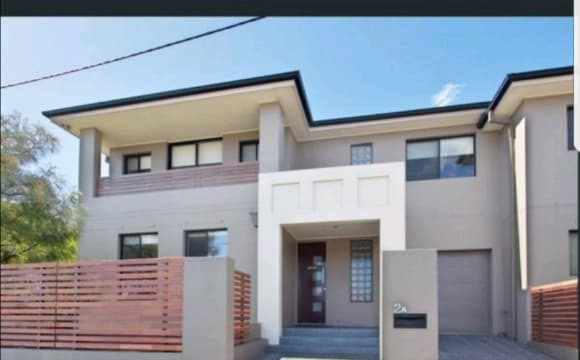 A spacious en-suite room (own bathroom with furnished), in a new townhouse in Boronia St, South Wentworthville, short distance bus T80 ride to Westmead and Parramatta CBD. Aldi, Woolworths, Hungry Jacks and other facilities are around the area. Plenty of off street parking in the quiet street. 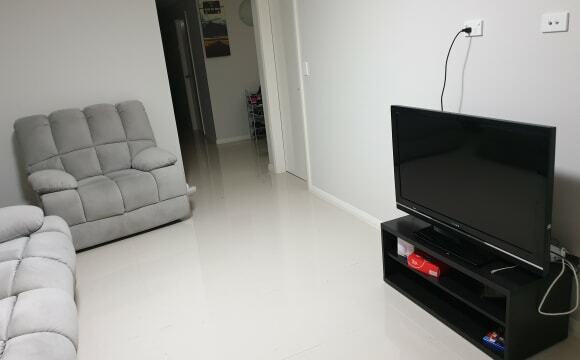 Suitable for single professional working in Parramatta CBD, Westmead, Blacktown and surround. ***For couples, $400 per week*** - Bus T80 direct to Parramatta Station (10min ride) very frequent. - Bus 818 to Wentworthville Station Looking for someone who is easy going, respectful, keep the place clean n tidy. Please message me and leave your mobile number, I will get back to you ASAP. Cheers. We are a North Indian couple with 5 yr old kid looking for a flat mate. We stay very close to Murugan temple and just behind the bus stoop. The train station is about 15 minutes walk from our place. Sun-drenched unit with wardrobe, All new appliances and a modern kitchen as well. 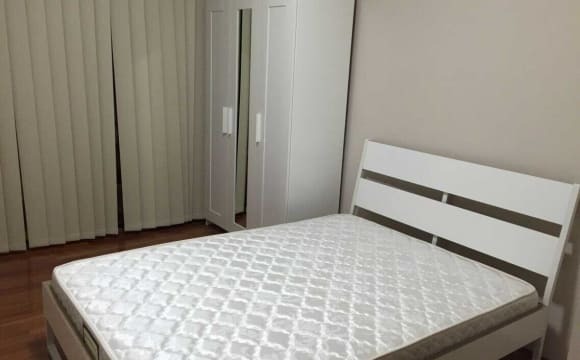 Fully furnished room available in our 3 bedroom 2 bathroom apartment right next to Parramatta Park and 3 mins walk to Westmead Station and 8 Min Walk to Westmead Hospital. Rent Includes all the bills i.e power, gas, broadband internet. We are house proud and keep our place nice and tidy and would except the same from others. I bet you wont be disappointed. 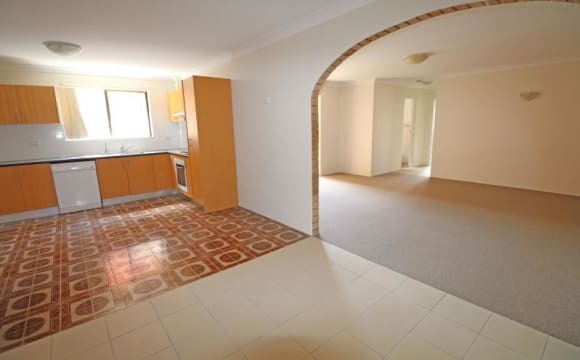 5 minutes walk to Westmead train station, Westmead T-bus station, Hospital, Parramatta park and Indian groceries. It's a freshly painted and cleaned property. I started living in March 2019 myself. Very spacious rooms and living room. Kitchen is huge. The room is unfurnished but we can discuss about furnishing if required and for long stays. Also, rent is 250 AUD/week for more than 3 months' stay whereupon electricity bill will be divided equally. If you are interested, please message me with the following information to get a reply: Age, Employment (full-time, part-time,student), Tentative length of stay, Citizenship. Thank you.